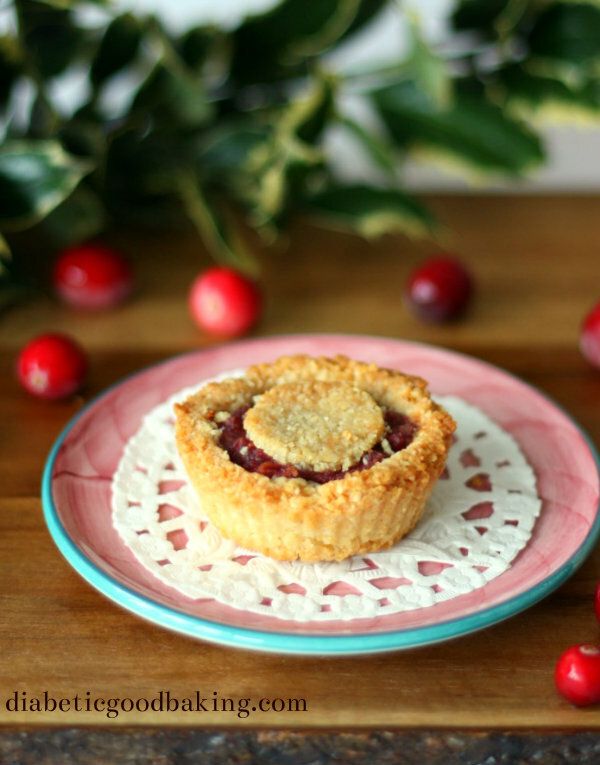 Can you imagine Christmas without mince pies? Well, you don’t have to now as there is solution to your festive cravings. 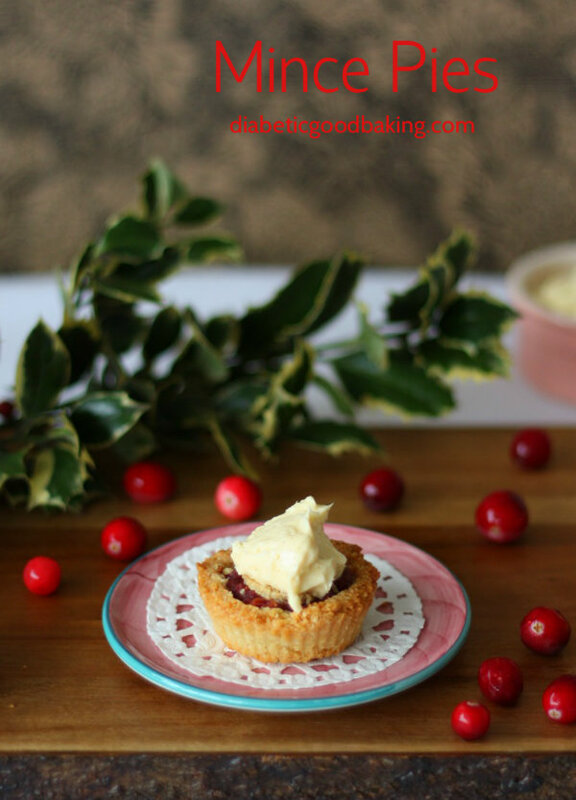 Low carb pastry filled with aromatic low carb mincemeat. All covered with vanilla and brandy butter making your Christmas truly merry but still guilt free. Recipe makes 6 pies, if you wish to make more, double or triple the ingredients. I used Erythritol as sugar substitute, but you can use any other sweetener of your choice (just remember to adjust carb count for it). Place all the ingredients (apart from brandy) in a small sauce pan and cook on a low heat for about 10 minutes. Add brandy and stir well. Mix all dry ingredients in a bowl. Add coconut oil and water and mix well. Form the dough into a ball and put in the fridge for 30 minutes. Preheat oven to 180C/356 F.
Place the dough between 2 sheets of baking paper and roll out to about ½ cm circle. Using 7cm /3 inches round cookie cutter (or a glass), cut out circles. You should have enough dough for 6 tartlets plus some dough for decorations. Gently loosen circles of dough with an offset spatula and place in a mini muffin tin, shaping to fit the hole. 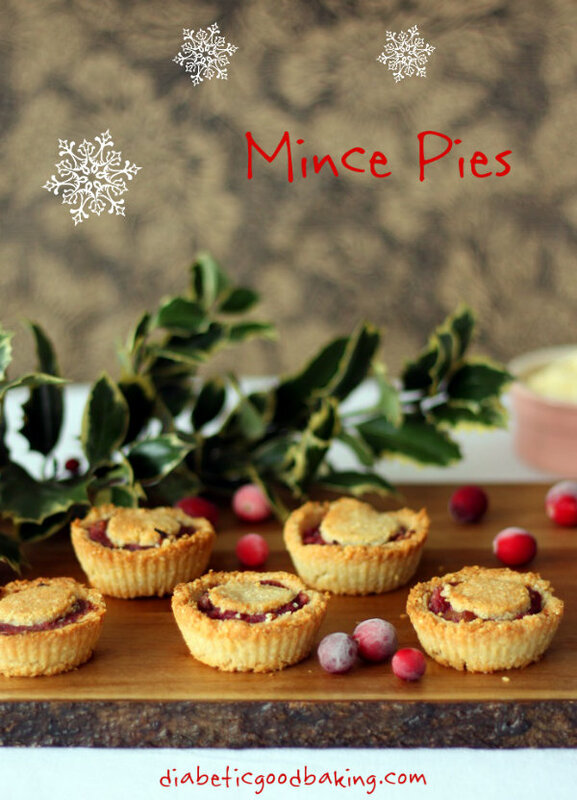 Prick the bottoms of pies with a fork and fill each shell with about 2 tsps of mincemeat. Decorate with leftover dough (I just cut out little circles using brandy bottle lid) and bake for about 20 minutes until pastry edges are golden brown,. Let it cool down before removing from the tin. Beat butter with erythritol, vanilla extract and brandy until well combined and smooth. Dollop a tsp of brandy butter on each pie and serve. Nutrition without brandy butter (using erythritol as sweetener). If you serve it with a tsp of brandy butter add about 70kcal and 8g of fat to each pie. How about using organic agave syrup instead of sweetners. Thank you.